A research team at Columbia University soon hopes to show whether or not ibogaine, an extract of iboga — a psychoactive West-African plant medicine — may have unique benefits in the treatment of Parkinson’s disease. The majority of existing research on ibogaine has explored its increasing use over the past several decades as an experimental treatment for substance use disorders, and particularly for opiate detoxification. But in addition to ibogaine’s anti-addictive properties, which have been explored in early clinical trials and observational research, there’s reason to believe that ibogaine may be beneficial in Parkinson’s treatment. Columbia’s two-year animal study represents the first time that researchers will probe for a direct link. Parkinson’s disease, which is recognized as the second most common neurodegenerative disorder after Alzheimer’s, is caused by the loss of a specific type of brain cells called dopaminergic neurons from a small and concentrated area in the mid-brain. This results in gradually increasing symptoms that include motor effects like tremors, muscle stiffness, difficulties with speech, severe lack of coordination and balance, as well as non-motor symptoms such as dementia, depression and others. According to the Parkinson’s Disease Foundation the condition affects an estimated 7 to 10 million people worldwide. And although treatments are available that offer some symptomatic relief, there is currently no known method of reversing the effects of the disease. The exact mechanisms of action of ibogaine are still obscure, but the theory for ibogaine’s benefit for Parkinson’s rests on the fact that amongst its other effects, it has been shown to increase the production of a protein called glial cell-derived neurotrophic factor, or GDNF. This and other neurotrophic factors have been shown to stimulate the production of dopaminergic fibers throughout the brain, and some existing research shows that GDNF in particular improves the recovery of dopaminergic neurons and leads to an improvement of Parkinson’s symptoms. Tabernanthe iboga, ibogaine’s primary plant source, has been used for millennia in Gabon and other parts of West Africa as a medicine and initiatory sacrament. In 1962, a 19-year-old named Howard Lotsof was the first Westerner to discover that ibogaine, iboga’s primary active ingredient, could mitigate withdrawals from opiates, and provide unique psychological benefits including relief from cravings for many who take it. Lotsof’s later advocacy work during the late eighties and early nineties resulted in the U.S. National Institutes of Health (NIH) funding early clinical trials. While this proved a promising and uncharacteristic support for public research, the NIH eventually withdrew funding because of the complexity of the trials and litigation between the investigators. Despite the lack of funding for clinical development, the research that has been done has continued to be supportive. Some researchers believe that ibogaine’s release of GDNF may play a role in its more lasting psychological benefits by potentiating a state of neuroplasticity that some refer to as a kind of “neurological second childhood.” To some extent, the rapid growth of new neurons may help to repair and rebuild neurological pathways that have been damaged by addiction. Years later, several research teams are slowly preparing Phase 1 and 2 trials on human patients to continue to explore ibogaine’s use in addiction treatment. Re-initiating those trials has remained difficult for many reasons, partly because there is little profit motive for pharmaceutical drug developers, and to some extent due to reports of fatalities that have occurred in close conjunction with ibogaine administration. The risks involved in ibogaine addiction treatment stem largely from the fact that it is unregulated and there are huge variations in the level of care provided at ibogaine treatment centers. However, many therapy providers and researchers agree that its use can be made safe with proper screening and in-treatment monitoring. Even with this in mind, some advocates believe that ibogaine’s application as a treatment for Parkinson’s may prove more straightforward for research. In the case of addiction therapy, ibogaine is most often administered in a single large dose, but there is anecdotal evidence that the repeated use of very low sub-perceptual doses, which are generally agreed to be well tolerated in patients, could be sufficient to reverse Parkinson’s symptoms over time. Patient D* was 69 years old in 2012 when he was diagnosed with Atypical Parkinson’s, a Parkinson’s-like syndrome that does not include the characteristic palsy. By last year Patient D’s symptoms had advanced to the point where his facial muscles felt frozen. He had difficulty finding his balance, talking or using his hands. As a writer and artist, he noted that emotionally it was the first time in his life he had lost his desire to do anything creative. In December 2014, Patient D was treated with CKBR-12, an experimental natural health product and “ibogaine-derivative” at a medical center in Rosarito, Mexico. He took a small dosage twice a day for 30 days, and after the first two weeks began to notice that he could use his fingers to pick up objects again. After a month he had seen a gradual improvement in all of his symptoms to the point where he could carry on normal conversation, and coordinate previously impossible tasks such as buttoning his shirt. When we spoke, to Patient D, he said that he had continued to have improvements with further treatment. His case has been reviewed by several doctors, including Dr. Susanne Cappendijk of Florida State University Medical Center, who relayed some of the results at a conference at the New York Academy of Sciences on April 27th. Much like ibogaine’s use in addiction treatment, the current use of ibogaine for Parkinson’s and other neurodegenerative disorders is illegal in the U.S. due to its Schedule 1 status. In most countries, including Canada and Mexico, this is not the case. Yet, even in places where ibogaine can be administered, treatments are considered experimental until they undergo the full battery of demanding clinical trials. The clinical trial process is bulky and challenging for many medications, including useful new antibiotics, because they cost millions and are slow to develop. If medications that are advantageous from a public health perspective don’t come packaged with a lucrative business plan there few big pharmaceutical companies willing to invest. One of the main reasons that ibogaine hasn’t been funded by the existing addiction treatment industry is that it is only administered once, or a few times, rather than as an ongoing regimen. In 2009, New Zealand became the first country in the world to offer ibogaine as a prescription on an experimental basis, a trend that may eventually follow elsewhere. Now, in Vermont, addiction rates have become so severe that the governor dedicated his entire State of the State speech to the issue. This prompted members of the Vermont State Legislature to table a bill that would allow the operation of a non-profit ibogaine detox center in the state. The bill could find its way to the governor’s desk as early as next year. Even in the midst of these isolated examples, and without broad regulatory reform, FDA approval is needed to make ibogaine treatments more widely available. 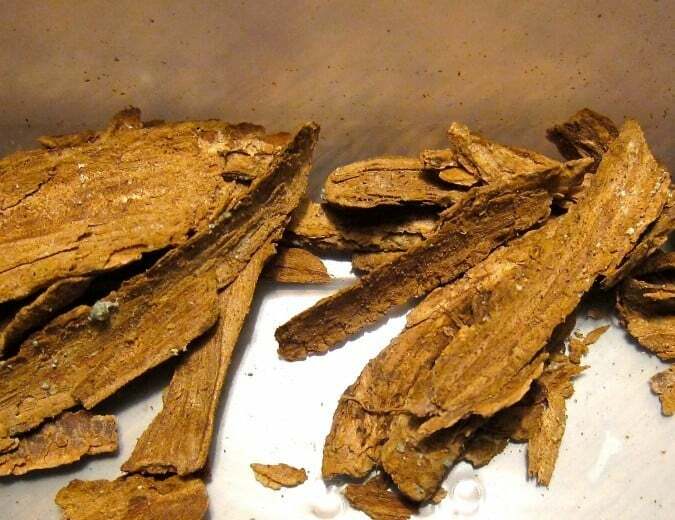 Researchers who are studying ibogaine for addiction treatment have to look past a $35 billion U.S. addiction treatment industry that believes it possesses effective modalities, even despite a general increase in rates of addiction. Parkinson’s researchers, on the other hand, may have the benefit of a number of large foundations that are established to fund research in yet another field where few other drugs can claim similar promise. Jonathan Dickinson is executive director of the Global Ibogaine Therapy Alliance. *Patient D’s name has been anonymized to protect his identity. Latest scientific studies suggest it is these 4 essential oils for depression which are best for your mental health.